The Health Insurance Portability and Accountability Act of 1996 (HIPAA) sets a series of national standards for health care information used by covered entities and business associates. Health care information regulated by HIPAA is called protected health information (PHI). PHI is any demographic information that can be used to identify a patient. PHI can include a patient’s name, address, Social Security Number, insurance ID number, medical record, full facial photograph, and others. 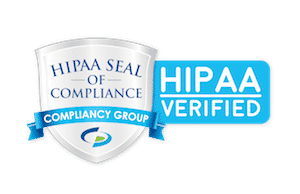 Submit your request for the free HIPAA compliance checklist.